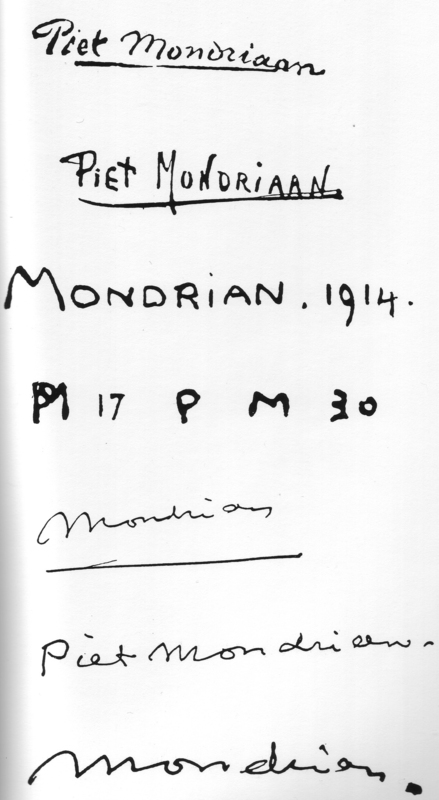 The following pages are taken from Michel Seuphor, Piet Mondrian: Life and Work (see here). Apologies if anyone objects to me showing this on copyright grounds, and I will remove it if requested, but I would suggest that this feature alone would guarantee sales amongst PM enthusiasts - why not leave the page up and reprint the book? 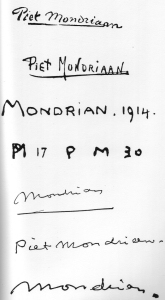 There's a similar entry in Meuris, the third image above.